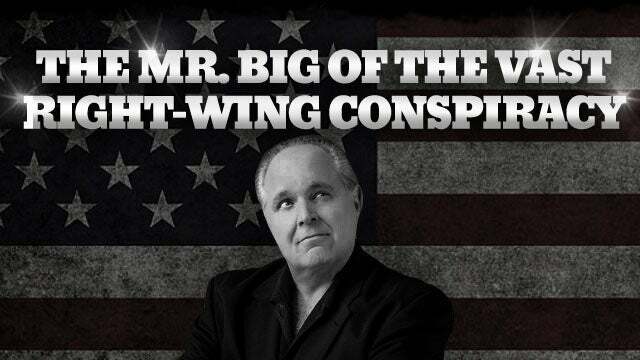 RUSH: NPR found it necessary to translate my appearance on Chris Wallace’s show Sunday for their audience. Last night… We’re back to audio sound bite No. 4 here. 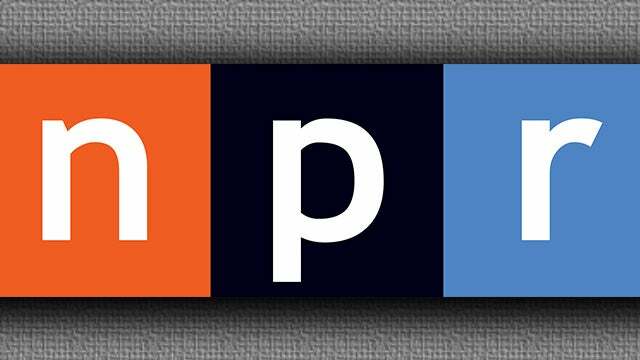 Last night on NPR’s All Things Considered, we have a portion of a report by the correspondent Brian Mann about my Fox News Sunday appearance and my reaction to the student anti-gun movement in Parkland, Florida. Again, this is… Apparently, it’s a weekly thing here that NPR does, to translate me to their audience. MANN: These kids have blown up on TV and across social media. But there’s one place where their message is falling flat. RUSH: (laughing) Don’t you love this? MANN: These kids have blown up on TV and across social media, but there’s one place where their message is falling flat. MANN: In conservative media, the TV, websites, and talk radio favored by tens of millions of Americans, the Parkland story sounds very different. 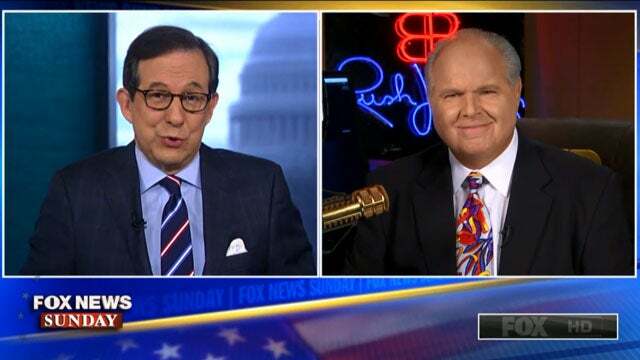 Limbaugh appeared on Fox News Sunday with Chris Wallace. Limbaugh described the Parkland students as “articulate” and “angry,” but he also said they’re being used by the left and by the Democrats in a bid to take away people’s gun rights. The real answer, Limbaugh said, is more guns in schools. RUSH ARCHIVE: The solution to me — and I know this is gonna cause all kinds of angst. The solution is we need concealed carry in these schools. MANN: Across conservative media, the narrative after Parkland is that shootings like this aren’t really about guns. They’re about a breakdown in the fabric of American society, about disintegrating families, the lack of Christian values. We don’t treat what happens in schools as what could happen on an airplane or in a movie theater or a ballpark or in any other public venue, and we act surprised every time it happens, and then we start, “Damn guns! Damn NRA.” The football coach, as I say, who heroically died by shielding students with his body? What if he hadn’t had to die to save them? What if he had had an alternative? By concealed carry… You know, this can be demagogued too. I don’t mean students ought to be packing in their socks or in their back pockets or any of that. I’m not talking about that. I’m talking about professional armed security that you may not even know who they are. You got a suit walking down the hall, just like you don’t know who the air marshals are on board a commercial flight. You just don’t know. All you know is that they’re there. And while they will not be available in every immediate vicinity, it won’t take ’em long to get where they need to go. But the left says, “You can’t do that. That’s a recipe for disaster. You’re putting a gun in the school, accidents can happen. The security guy could lose his mind. He could be a deranged conservative himself and start shooting it up.” That’s what they’ll tell you is the danger. It’s what makes me think that in many of these people cases on the left, they don’t really want a solution because the issue is too valuable. ABC’s The View today discussing student anti-gun protest rallies. 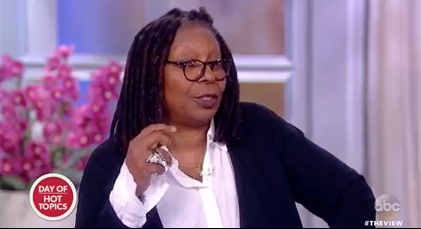 Here is cohost Whoopi Goldberg. GOLDBERG: It is really kind of exceptional that they are gathering and saying we’re going to go out and protest. Now, Rush Limbaugh sort of said, “Well, you know, what’s the point of doing this, because nothing will ever change. Well, I have to tell you. Things do change. People taking to the streets, young people taking to the streets changes things. I know this because I watched it happen during the civil rights era. GOLDBERG: I watched it happen during the woman’s marches that used to happen. People can make change happen, and it’s a good thing. 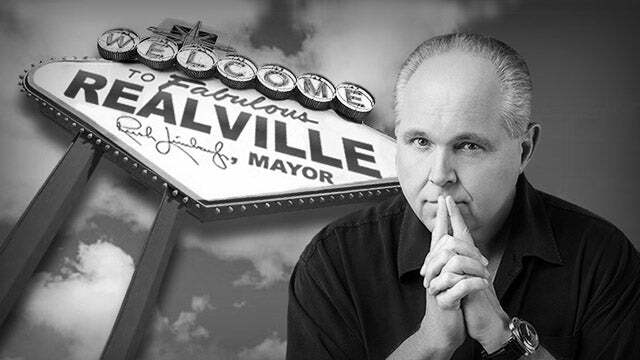 RUSH: I have never said change doesn’t happen. But the next shooter is out there. The next shooter — pardon the repetition, but I’m going somewhere with this, folks. The next shooter is out there. The next shooter knows who he is. The next shooter has his gun. Whatever gun law you pass isn’t gonna stop him, he’s got his gun. The shooter after that is out there. He has his gun. The next shooter after that probably is out there and has his gun. And in all cases, people know that this particular shooter, before he’s the shooter, is a lunatic. They know he’s not right. Something’s wrong with the guy. They know who it is, like apparently everybody knew that this kid Cruz was a time bomb waiting to explode. Nobody did anything about it, but they all knew. Well, the next shooter is out there. People that know him probably are saying the same thing about him they’re saying about Cruz. So now we’re gonna have students marching on Tallahassee and they’re gonna march on Washington, and the next shooters are out there with their guns and they’ve got their guns and they’re watching the protests. Are these next shooters — this is what gets me hated, by the way, what I’m gonna say next. This is why the left hates me. Are these shooters that are already out there and already have their guns gonna watch these protests and these marches and say, “You know what? I am so moved, I’m not gonna do it.” No. The reason I’m hated is because really analyzing what they say illustrates how full of holes it is, and that just bursts the bubble. They live in this emotional place where they concoct these ideas where marches and protests are kind of magic. Even if they don’t accomplish anything, it’s still a decent, good thing to do, because it shows caring and compassion. And then I come along and point out how it actually isn’t going to stop the next shooter and effectively blows up their balloon, shatters their cocoon, and makes them confront the fact that what they’re doing is not gonna matter. So they hate me. And most people don’t do what I do. Most people applaud it. “That’s great. I love the commitment,” they say, “and I love the compassion. We should listen to these students. They’re really on the ball here. They really know what they’re talking about. We need to listen to the students.” And we listen to students, and it’s anti-NRA while always being portrayed as being unpolitical. You ever talking to a young person, teenager, about their future. And you ask ’em about it. And they give you some gobbledygook that is typical of youth. It’s not properly formed. They’re too young. They don’t have life experiences to really know what they’re talking about. So their desires and their stated goals are platitudinous and big and expensive, wonderful, and your reaction, do you think, “This is the most unreal thing I’ve heard and it’s crazy.” But you don’t say that. “That’s wonderful, Johnny. That’s just exceptional.” Because it’s polite. It’s just more polite. And it’s said to be a positive thing to be encouraging. But what you really think is you’re listening to a bunch of childish, immature pabulum that you know is gonna change as they get older. But you don’t say that. Well, I do. And they hate me for it. Because I’m the mayor of Realville. And I still don’t see anybody seriously talking about something that would stop the next shooting, because the next shooter is out there and has his gun. So what is all this other stuff actually for, and for whom is it really being done? Like Trump said, I’ll take the heat. Be happy to take the heat.